Webcast sponsored by the Irving K. Barber Learning Centre and hosted by alumni UBC. Winemakers in BC have traditionally used stainless steel and oak barrel vessels in the fermentation and ageing processes. Yet there are two new kids on the block: amphora (clay) and concrete now making their way into local cellars. Each affects the makeup of the wine differently, not only because of the diverse materials but also because they allow varying amounts of oxygen to be exposed to the wine within. Winemakers and experts have their preferences as there are advantages and disadvantages to all types in their cost-effectiveness, insulating properties and space efficiency. But what are their effects on taste and expressions of terroir? Historically, consumers can recognize and appreciate the unique qualities that fermentation in oak can impart to wines, but can they recognize the qualities of the others? Does the vessel play an important role in consumer’s enjoyment of wine? This event happened on January 26, 2017 at the Robert H. Lee Alumni Centre. DJ Kearney is the Director of Wine at newdistrict.ca, where she oversees wine selections and purchasing, curates mixed wine packs, and creates educational articles and videos sharing her wine knowledge. She’s been a regular contributor for WineAlign, Chief Judge of the Vancouver Magazine Wine Awards and Drink Editor at Vancouver magazine, the Vice-President of the Canadian Association of Professional Sommeliers BC Chapter and Chief Technical Judge of the Best Sommelier of BC competition. She recently started a series of Judge training workshops to help mentor the next generation of wine judges across the country. DJ has trained over a thousand sommelier candidates throughout North America for the International Sommelier Guild and the Wine and Spirit Education Trust, and has consulted for many global wine marketing bodies. She’s a veteran speaker, seminar moderator and presenter, and has refereed the lively UBC Grape Debate several times. She holds a Bachelor of Arts, the WSET Diploma, and the ISG Sommelier Diploma, and is currently in the process of obtaining her Master of Wine designation. With the 2015 harvest, Darryl Brooker assumed the role of Chief Winemaker at Mission Hill Family Estate. Both Darryl Brooker and Proprietor, Anthony von Mandl share the same winemaking philosophy and commitment to excellence and continuous improvement that is key to success for the Okanagan to reach new levels of international acclaim. Darryl came to Mission Hill Family Estate after joining CedarCreek Estate Winery in 2010 where he worked tirelessly to take the winery to the next level over five years. Prior to that, Darryl was the Senior Winemaker – Ontario at Hillebrand and Thirty Bench Wineries. With over 18 years of experience making premium wines in Canada, New Zealand, and Australia, Darryl’s prior experience also includes winemaking at Flat Rock Cellars in Ontario, Villa Maria Estate in Hawkes Bay, New Zealand, and Mountadam Vineyards in Barossa Valley, Australia. Darryl is a graduate of Charles Sturt University in Australia (Bachelor of Applied Science – Wine Science) and also has a graduate diploma from Adelaide University in Wine Business. After studying and making wine in Australia, his passion led him to New Zealand and more recently to Canada in 2003. He has a clear vision and passion for cool-climate wines, making him the perfect fit for the Okanagan Valley and its distinctive climate. As Chief Winemaker at Mission Hill Family Estate, Darryl is able to focus his efforts on making fine wines that reflect the terroir of unique estate vineyard sites located in the northern and southern portions of the Okanagan Valley. Microclimates within the valley provide challenging opportunities to achieve single vineyard wines that truly represent their terroir, intensified by Darryl Brooker’s passion. Christine Coletta is co-owner of Okanagan Crush Pad, a purpose-built custom crush family-run winery located in Summerland, BC. She oversees operations and focuses on branding, sales, marketing, and public relations. Christine has been a key player in the wine industry since 1990 having spent nine years as the executive director of the BC Wine Institute where she was instrumental in establishing the VQA program. During that period the number of BC wineries grew from 16 to 55 and has since risen to over 260. After that, she spent fourteen years as a consultant in the field of marketing, branding and communications. She had the privilege of working on many BC top wine brands in addition to working for Wines of Australia, Wines of Chile, and the Washington Wine Commission. Christine is widely recognized as one of the industry’s most innovative and astute marketing experts and has been recognized with several prestigious industry awards for her work. She is currently the chair of the BC Hospitality Foundation, a charity that she founded with a group of friends in 2006 that support people in the hospitality industry who are facing financial crisis due to medical issues. Sid Cross is globally respected for his extensive knowledge of wine and food, his tasting ability and his memory. He has traveled extensively in pursuit of his passion for wine and food including visiting the wine regions and dining at many of the best restaurants around the world. He is the Honorary President of The International Wine & Food Society (www.iwfs.org) headquartered in London England and for many years held the position of Wines Committee Chair in charge of an extensive expansion of their Vintage Card. Author of the popular 2012 Monograph “An Appreciation of the Age of Wine”. 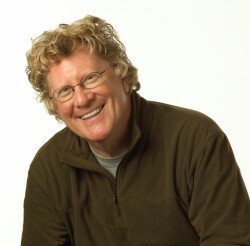 He is a frequent wine judge, panelist and entertaining educator on wine and food topics. These include among many The BC Lieutenant- Governor Awards For Excellence, BC Wine Awards for the Okanagan Fall Wine Festival, Vancouver Magazine International Wine Awards, Vancouver Playhouse International Wine Festival, and Whistler’s Cornucopia. Sid is co-founder and advisor to The Chefs’ Table Society of British Columbia (www.chefstablesociety.ca) in demand as a culinary judge including the Olympic Gold Medal Plates in Vancouver, the Canadian Culinary Championships, Fairmont Hotel Apprentice Chef Competition, International Chocolate Awards, Vancouver Magazine Restaurant Awards, and Oceanwise’s BC Sustainable Seafood Chowder Chowdown Competition. Sid is a well-known wine and food guru internationally. He is the only Canadian to be inducted as a Membre d’Honneur of the L’Academie du Vin de Bordeaux (www.academie.vins-bordeaux.fr) and be awarded The Gourmet of the Year by The Society of Bacchus America (‘for outstanding knowledge of food and wines and for imparting this knowledge to others’). He has also been promoted by the French Government from Chevalier to Officer status in the prestigious Ordre du Merite Agricole. Read Sid’s blog at http://blog.iwfs.org and reach him via Twitter @winefoodguru. Tony grew up in Summerland, BC, on their family farm which was predominantly apples but included soft fruits and pears. He studied sciences at Okanagan College and moved on to UBC where he received a Bachelor of Science in Biochemistry and a Medical degree. Tony worked at the University Hospital for 11 years as an Emergency Room Physician and was a Clinical Instructor of Medicine. In 1993, Tony and others founded ID Biomedical Corporation (IDB) which was focused on molecular diagnostics and vaccines. In 1999, Tony became the CEO of the company and the company’s focus shifted to the development of vaccine products. IDB acquired a number of companies including the vaccine assets of Shire Pharmaceuticals. This made IDB a fully integrated vaccine company with expertise in research and development, pilot scale manufacturing, regulatory affairs and commercial manufacturing. In December 2005, IDB was acquired by GlaxoSmithKline for $1.7 billion, plus the assumption of approximately $300 million of debt. Since the acquisition, Tony has focused on working with a number of companies providing strategic advice and sitting on their boards. He is currently Chairman of CRH Medical Corporation, a NYSE listed medical device company; Chairman of Sunniva Healthcare; Advisory Board Member of Roadmap Capital, a private equity firm focused on late stage technology companies; and a board member of Response Biomedical. Tony is an avid wine drinker and collector. Over the years, Tony has acquired approximately 5000 bottles from wineries all over the world. His interest in Okanagan wines started in the early 2000s when he starting tasting wines from some of the top producers in the valley. This led Tony to believe that the Okanagan is capable of producing world class wines and led to the purchase of Poplar Grove Winery. Since the beginning, Poplar Grove Winery has been known for making exceptionally good red wines, but the winery had limited production. In 2007, Tony purchased 75% interest in Poplar Grove and with the assistance of a variety of consultants, developed a new business plan for Poplar Grove. Today, Tony Holler owns 95% of Poplar Grove and the new business plan for the winery is being realized. Poplar Grove has a brand new 10,000 square foot tasting room and fine dining restaurant, as well as a new, state of the art production facility. Barbara Holler, Tony’s wife, is the Owner and Operator of Holler Estate Vineyards which owns roughly 100 acres of land which is comprised of vineyards on the Naramata Bench and on the Eastern bank of Osoyoos Lake, close to the USA border. The vineyards on the Naramata Bench have a very different terroir (heat units, rainfall, soil composition, and farming practices) than the vineyards in Osoyoos. This allows Holler Estate Vineyards to grow various varietals where they grow best and allows Poplar Grove wines to be made from 100% estate gown fruit. Two of Tony and Barb’s sons, Matthew and Andrew, manage the vineyards making sure that the grapes are cared for everyday rain or shine. Currently, Poplar Grove produces approximately 25,000 cases per year. Poplar Grove will shortly begin the strategic planning for the next 10 years (2017-2027). Poplar Grove is an Estate Winery and the goal is to be a multi-generational business. Poplar Grove is focused on the same business practices which Tony has used successfully in other businesses; high quality products, high quality people, high quality facilities, an achievable business plan, access to capital and a continuous focus on improvement in all aspects of the business. Jay Martiniuk is a winemaker and microbiologist born and raised on a vineyard in the South Okanagan. As part of his family’s winery, Stoneboat Vineyards, he played an integral role in crafting their inaugural vintage in 2005 and has since worked as cellarmaster at Osoyoos Larose under winemaker Pascal Madevon. 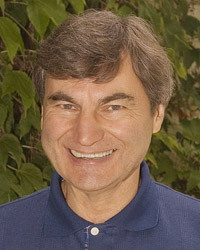 As Stoneboat’s winemaker until 2013, Jay developed the winery’s winemaking program and helped to establish Stoneboat’s reputation as an award-winning Pinot varietal producer. A one-time Latin major, Jay graduated with a BSc in food sciences from UBC in 2011, where he studied at the Wine Research Centre. He returned to the Wine Research Centre in 2013, where he is a graduate student. 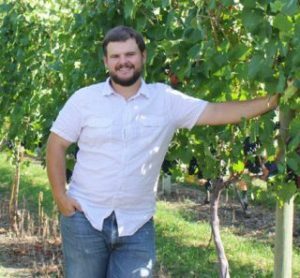 Jay’s research is focused on characterizing the microbial terroir of the Okanagan wine region. He is conducting a multi-year survey of several winery and vineyard sites to identify differences in yeast population composition and to search for regionally unique yeast species and strains with win-making potential. Jay is also a student in UBC’s ECOSCOPE program, which trains graduate students in microbial ecology and entrepreneurship. David Scholefield is one of Canada’s most experienced and well-traveled wine personalities. His renowned palate, sharp wit and great passion for wine have established him as a much sought-after wine speaker, teacher and judge. David’s devotion to wine sustained him throughout his long career as senior wine buyer for the BCLDB, where he earned a global reputation for his ability to shepherd disproportionate allocations of the world’s finest wines onto the shelves of BC liquor stores. A native of California, Sandra Oldfield arrived at Tinhorn Creek Vineyards in 1995 after receiving her Master’s Degree in Enology from UC Davis. She made the wines for the first 20 vintages and has been the winery’s CEO since 2010. She is passionate about the BC wine industry and has been instrumental in beginning BC’s first sub appellation–the Golden Mile Bench, founding Oliver’s Festival of the Grape and creating #BCWineChat on twitter. Tinhorn Creek is Canada’s only carbon neutral winery and has been awarded Canada’s Safest Employer in hospitality. In 2016 Sandra was named Canada’s 100 Most Powerful Women as a Trailblazer and Trendsetter and hopes to keep pushing the BC wine industry to greater heights in the years to come. Born in 1952, Howard Soon was raised amid the 1960’s culture of Vancouver’s quintessential neighborhood, Kitsilano. He studied Biochemistry at the University of British Columbia and Business Administration at the University of Mantioba. After five years at Labatt Brewing Company, Soon moved to the Okanagan in 1980 to begin his winemaking career. In 1997, he was handed his most prestigious assignment – Sandhill. His collaborative relationships with our growers and non-interventionist approach have consistently led to award-winning, single vineyard wines. “At Sandhill we appreciate that great wine begins in the soil and on the vines, with grapes that have been nurtured to balanced ripeness,” says Soon. His determination to be at the leading edge of winemaking and working with the best grapes in the Okanagan have become fundamental to Sandhill’s exploratory Small Lots Program. 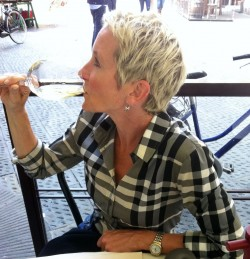 Soon is one of a select group of certified wine educators in Canada and is a much sought-after speaker. He is an experienced judge of wine and has served on the panels of several major wine competitions in Canada and the U.S. In 1998, Soon received the Founder’s Award from the Okanagan Wine Festival, recognizing his contribution to British Columbia’s wine industry. In 2009, Sandhill was named “Winery of the Year” at the Canadian Wine Awards, by Wine Access. Under Howard Soon’s leadership, Sandhill was the first winery to ever receive the top three awards; Red Wine of the Year, White Wine of the Year and Winery of the Year. Soon was inducted into the Hall of Fame of the B.C. Restaurant and Food Services Association (BCRFA) in 2012. Most recently, Soon was recognized at the 2015 Vancouver International Wine Festival‘s Celebrating Excellence Awards with the highly coveted Spirited Industry Professional Award. Howard enjoys serving on the Faculty Advisory Board for Land and Food Systems at UBC and also on the Board of Directors of the Okanagan Symphony Orchestra, British Columbia’s third largest Symphony.